Growing mint – today were talking everything you need to know about growing and using this amazing herb. Mint was one of the first herbs that I planted in my garden. 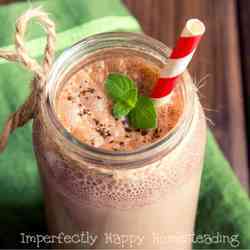 Not only do I love the flavor of mint, it has some great medicinal and “homestead” uses. This perennial herbs is generally very hardy…sometimes so much it takes over the area that it is growing in. I prefer to grow it in a large fabric pot on the patio but it will do very well in raised beds as well. But it is important to know that mint plants send runners out and often you won’t even see them jumping the bed their planted in until they start growing somewhere else. 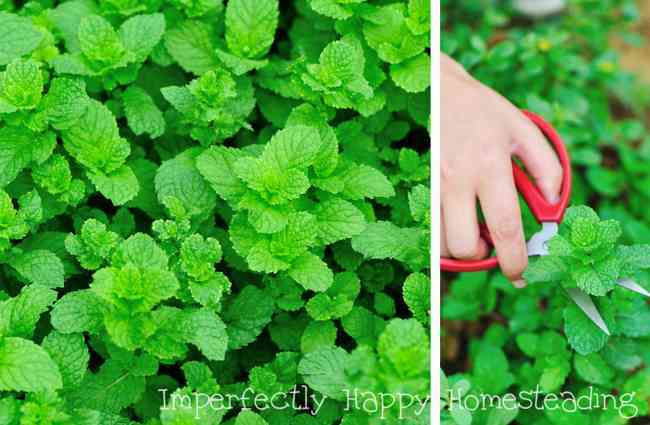 I don’t let that stop you from growing mint – it is an wonderful addition to home and garden! If you’re going to start mint (any variety) from seed, I recommend doing this in a sunny warm window and waiting until the plants are several inches tall before transplanting. This will give you a much better chance than putting them outside from the start. Transplants are another great way to go! If a friend has some mint you can even start it from cuttings. Mint prefers a cool, moist soil in partial shade to full sun (you may need to give it shade during the summer). Make sure your container has good drainage. Start your mint with a good amount of organic compost. Mint does not require a lot of fertilization – just add a bit every few months (compost or something organic that keeps the ph between 6 and 7). Mint is not hardy in extreme cold so make sure you give it protection from frost. A top layer of mulch will help your mint’s roots stay moist and healthy without over-watering. Consider your space – mint plants can get 2 – 3 feet in height and up to 4 feet wide. Trim off flowers before they bloom to keep mint from spreading and widening. Rodents are also repelled by mint’s pungent smell so you plant it or spread leaves around in areas that are prone to rodent infestations. But be aware…your chickens will probably eat it! 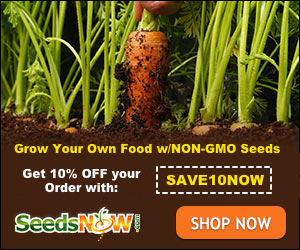 Pinch or cut off stems 1 inch above the ground – you can get up to 3 harvests per year this way. You can always harvest just a few leaves at a time (before flowering). Young leaves have a more intense mint flavor over the older one. Hang dry or dehydrate mint leaves and store in an air-tight container in a cool, dry, spot. I like to use my Nesco Home Dehydrator. For more information on drying herbs see Home Drying Herbs. You can store fresh mint in the refrigerator in zip lock bags or containers (but fresh is best right after picking). You also freeze mint in ice cubes for longer storage – use them in your waters and teas for a hint of mint! Mint is adds wonderful flavor to fish, lamb and poultry. It is great with veggies or added to salads. Add it to a chocolate shake! Mint is one the best medicinal herbs to always have on hand. Mint also has some wonderful medicinal properties with help with tummy issues, headaches, fatigue and more – See Marvelous Mint for more information on mint’s healing properties. Again, mint is a great asset to repel rodents. Also known to repel mosquitoes. Awesome for your chickens – improve eggshell quality, and increase egg production! Mint, in all its awesome varieties are a wonderful addition to home and garden. So get out there are start growing mint!